Fall is just around the corner, and that means crisp days, cool nights, and a return to bold, robust flavours . . . like those you’ll find in the wines of Black Sage Vineyard. Whether you pick them up at a farmers’ market, pack them into your picnic basket or serve them in hearty pasta, September’s ingredients are ripe, lusty and robust; think hearty tubers, good-for-you greens, garlic, onions, tomatoes and rosemary. When matched with intense, full-bodied wines, alchemy occurs; flavours combine to make late-summer magic. The new releases from Black Sage Vineyard are perfect for pairing at this time of year, says winemaker Jason James. “The summer of 2011 was cooler than average,” he says. “But a stretch of warm weather late in the growing season led to wines that show outstanding balance between fruit, acidity, tannins, and alcohol.” The grapes were fermented in small lots, which allowed for careful monitoring and direction in order to extract the firm tannins that make Black Sage Vineyard reds so popular, and always so quick to sell out. The 2011 Black Sage Vineyard Merlot displays intense black fruit, sage and tobacco flavour enhanced by considerable time in French and American oak; bound by solid tannins and memorable structure. B.C. Price $22.99. The 2011 Black Sage Vineyard Cabernet Franc was produced from tenacious vines that have thrived in the rugged South Okanagan desert for more than 20 years. Influenced for over a year in French and American oak, the wine offers ripe cherry and blackberry flavours mingled with earthy notes, a hint of bell pepper and spice. B.C. Price $23.99. The 2011 Black Sage Vineyard Cabernet Sauvignon – having spent 12 months in French and American oak – displays black cherry and currant flavours, enhanced by hints of eucalyptus and cedar on the finish. B.C. Price $24.99. 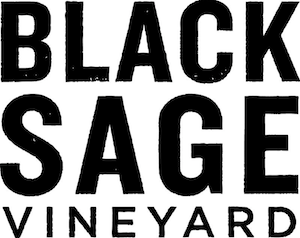 Look for Black Sage Vineyards wines at local liquor stores in early October, just in time for the Thanksgiving table. To find out more about Black Sage Vineyard wines, visitwww.blacksagevineyard.ca. To join in the conversation, like us on Facebook and follow us onTwitter and Instagram.